Doggie Day Care, Pet Sit, Play, Stay & Train. 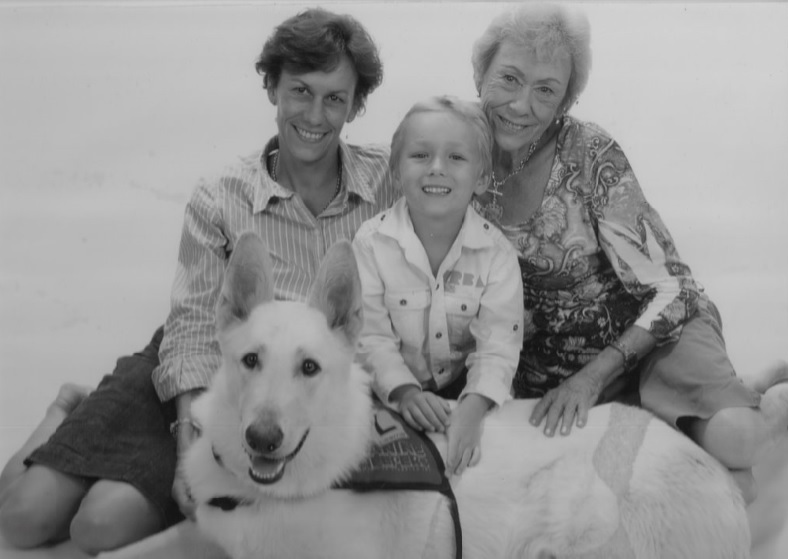 Paula, husband Stewart and son Zak are avid dog lovers and love to take care of others precious pets. Our dogs, BARON, Swiss Shepherd and Rolo, Labrador Retriever are great with ALL breeds of dogs. Baron has a plethora of experience socialising with breeds as small as Teacup Poodles to the larger, such as St Bernards, through Pet Therapy visits. The Edrich family look forward to caring for your fur-family member too. In home Pet Sit: Your pets come to our home. Your much loved pets will be cared for in our family home, where they will be walked daily, taken on outings and receive the same care and attention our dogs do. We aim to provide the same comforts they are used to at your home at your place. All dogs are welcome inside, including sleeping. Train & Stay: Why not add some training to your pet sit booking? While you are away your pet is not only well taken care of but will learn some new skills too. Tailored packages are available and a suitable training program confirmed prior. Daily Visit: Perhaps your stay away is short and your dogs are comfortable staying alone but would love a visit from a friendly walker. Daily visits can include play, walk, feed, cuddles, brush, water top up, poo patrol and other upon request. Need those bins and mail brought in, not a problem. Doggie Day Care: Like your dog to have some company, be entertained while you’re at work? Drop your dog in for a fun filled day of socialisation. This is a supervised play / stay visit so puppies are welcome. House / Pet Sit: Do your pets feel more comfortable in their own home? Our pet sitters can come to you. This will ensure your house and pets are safe. You will receive the same inclusions as you would for an in home visit.